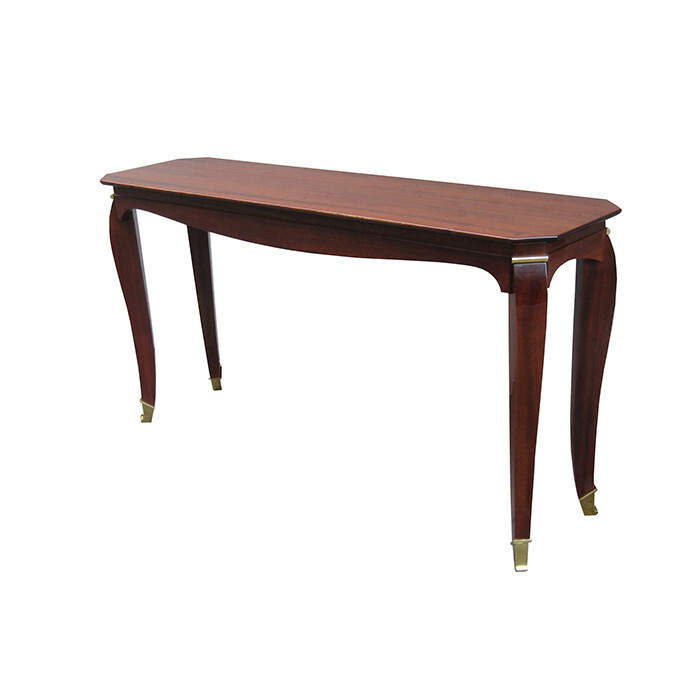 An Art Deco console designed by Maurice Rinck. Mahogany with patinated bronze details. Dimensions: H:35 W:69 D:18 Inches.